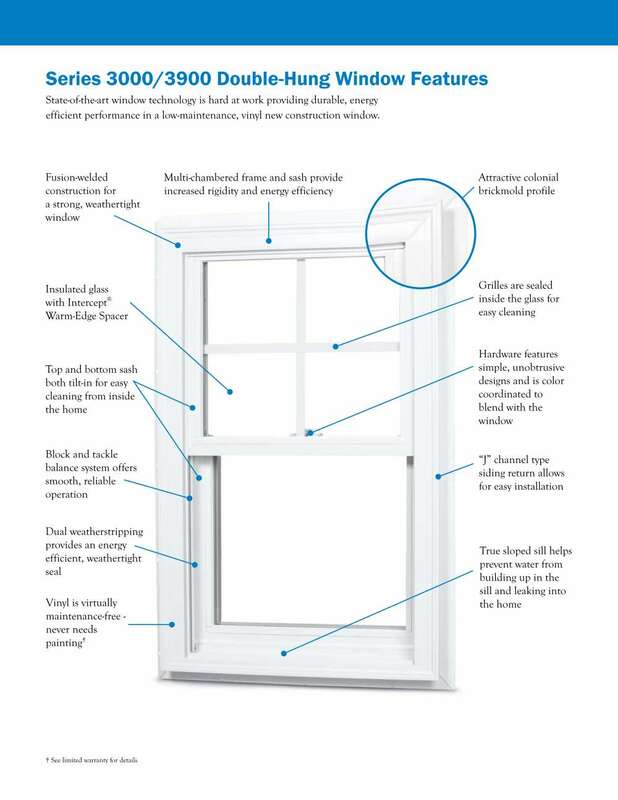 Silver Line® double-hung replacement windows provide simple aesthetic appeal and energy efficiency in a modestly-priced window. 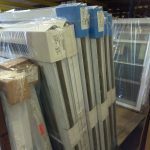 Special order 1200 series windows start at $89ea (24″x 30″). Lead time is two weeks. Please call for specific pricing. 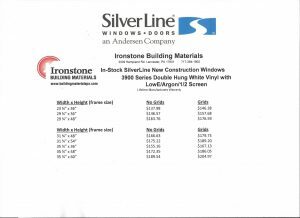 SilverLine offers the highest quality window at the best possible price backed by a Limited Lifetime Warranty. Please visit SilverLine’s website for more information. 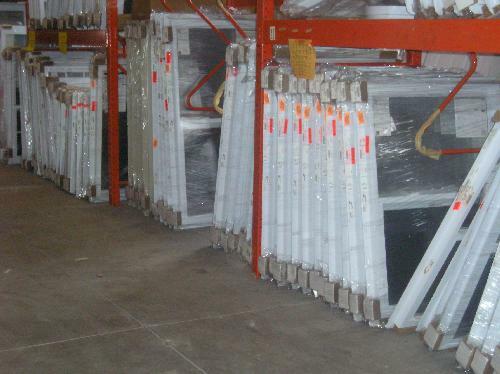 We maintain an inventory of new construction windows, including single hung, basement hoppers and casement windows. 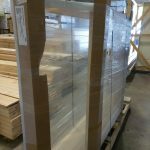 SilverLine 5800 series sliding Patio doors are now in-stock. All SilverLine windows and patio doors are tested and certified to the National Fenestration Rating Council’s standards for U-Factor, Solar Heat Gain Coefficient and Visible Transmittance. All Silver Line windows and patio doors, when ordered with the appropriate glass, meet or exceed the ENERGY STAR guidelines in all 50 states. 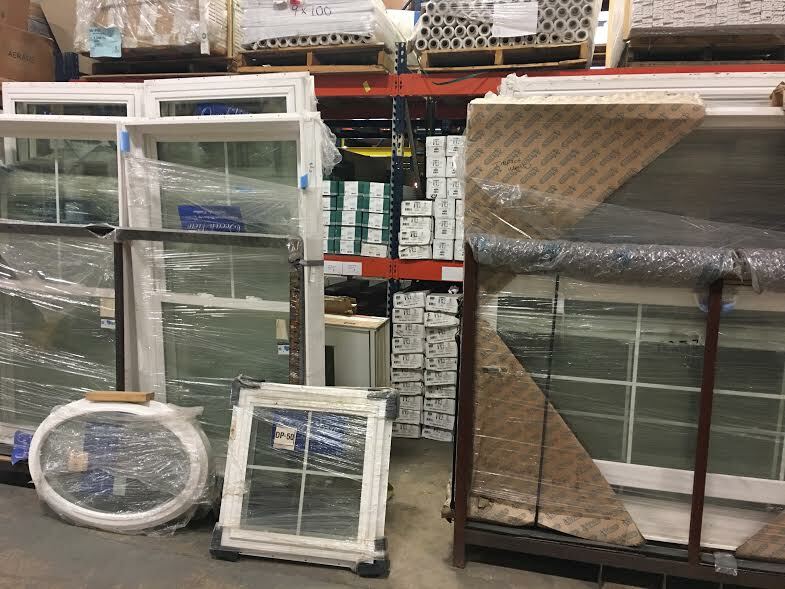 Please visit NORTHEAST’s WEBSITE for a full listing of available windows and doors. Generally, lead time is 2-3 weeks. Please call for the most current pricing.